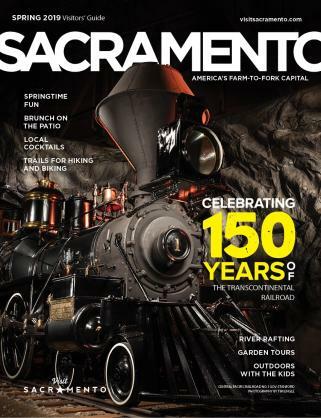 A few weeks ago Anthony, my husband, and I had promised our sons-Alex, six, and Joey, three, a visit to Sacramento and the State Railroad Museum. The boys love trains and despite my busy schedule, I wanted to keep my promise. Anthony and I were excited to give the boys a train experience that they would never forget. But as soon as we made it into Old Sacramento, right off the freeway, I knew the trip would be an experience that I would never forget. 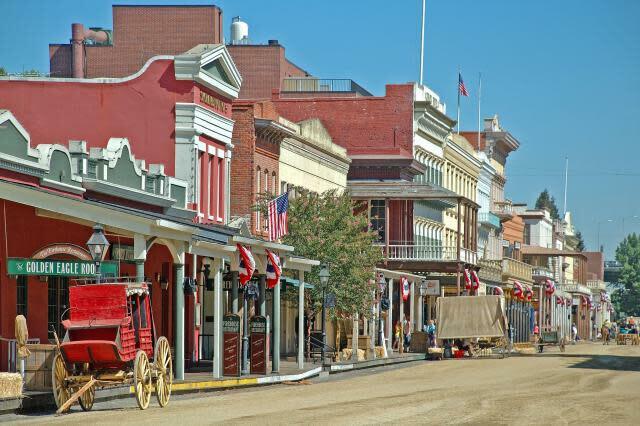 The boys piled out of the car and began to wander along the boardwalks-Old Sacramento exists because of the Gold Rush; it&apos;s where people started their Gold Rush journeys in 1849. Now our family was beginning our own journey here. I watched the boys quietly look around in wonder. And my brain, for the first time in what felt like forever, quieted itself. We were off to a great start. Alex and Joey&apos;s eyes grew round as they spied a horse-drawn carriage roll by. A bit later we were seated in a carriage, taking a tour of the sites. Our city boys were thrilled to be riding behind an actual horse. "You know, before trains, this was the type of transportation you would have to take," Anthony said. "Cool!" Joey said with a smile. "But imagine going this slow across the country," Anthony said. "Not cool," Alex said, shaking his head. Afterward, we walked half a block to a café with a painted wooden sign advertising fresh squeezed lemonade. We sat outside and enjoyed the cool breeze blowing in from the nearby Sacramento River. Aha! I thought. I know what we&apos;re doing next! It was an easy walk to the waterfront, where we bought our tickets and walked down the footbridge to a riverboat. 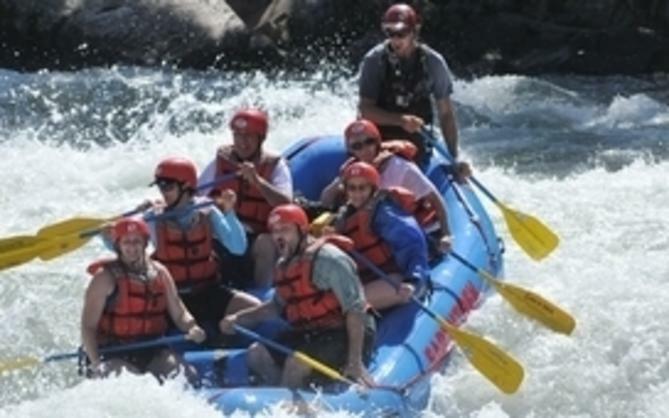 Joey and Alex had never been on a river cruise before, so they were glued to the railing as we set off down the Sacramento River. My husband and I settled onto a bench and watched the scenic views of the capital city roll by. The boys&apos; favorite part? Watching the Tower Bridge lift up while our boat progressed along the river. As the wind ruffled my hair, I leaned back against Anthony&apos;s shoulder and smiled. The one-hour tour was the perfect amount of time for our young family. Afterward, we returned to Old Sacramento recharged and hungry. My little guys have huge appetites, and they weren&apos;t the only ones ready to eat. We decided on the popular restaurant Fat City. There was plenty for the kids to choose from, and I loved that we could substitute sweet potato fries as their side. They gobbled them up without even realizing they were eating vegetables! My husband savored a steak that had perfect cross grillmarks, while I loved the rich flavor of the free-range chicken and fresh veggies. After a leisurely lunch, we took our time strolling along Old Sacramento&apos;s boardwalks and visiting the many novelty shops, trying on funny hats and reading witty t-shirts. Joey and Alex scared each other with exploding snakes at one of the gift shops. As the afternoon melted into evening, I realized that we were all having a wonderful time, effortlessly. The boys were happy and relaxed, focused on soaking up as much of the city as possible. The next day, we headed to the California State Railroad Museum, whose six buildings house 21 beautifully restored locomotives and train cars. The boys loved looking at those old engines and jumping over the railroad tracks embedded into the museum&apos;s floor. In one exhibit, Alex and Joey got to climb into the engineer&apos;s seat and pretend they were driving the train. In another, we walked through a restored train with a Pullman-style sleeping car. I loved its dining car, too, which had full place settings with original china and even the menus from different periods. We finished upstairs with much-smaller toy trains. As we walked down the hallway, we saw exhibits of toy trains through the years. In one display, Joey and Alex took turns pressing the buttons to make the model trains go, and we all watched as night fell and the trains&apos; tiny lights came on. Further down, we reached a large room overlooking the main museum hall. There were a number of kid-sized tables with toy trains and tracks. Alex and Joey both loved getting to play with all those little engines, but they spent even more time at a nearby display, where they could stand inside a plastic dome while a model train circled on a track around them. Then, we were off to experience a train ride for ourselves. 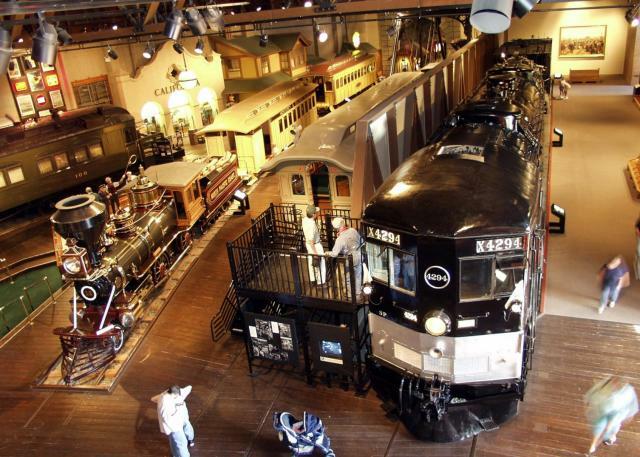 Part of the museum, the old-fashioned train depot was just a short walk from the exhibit halls. My sons had never been on a real train ride before, and I realized it had been years since I had. The hustle and bustle of our daily lives seemed far away as we rocked to the rhythm of the vintage diesel engine and enjoyed the views of the California State Capitol and downtown. "Mom, you know what this reminds me of?" asked Alex. "What&apos;s that, honey?" I replied. "The Little Engine That Could! Joey and I both really love that book, and now we got to see all those trains in real life! That&apos;s so cool!" He hopped up and down with excitement as Joey chimed in with several rounds of "chugga chugga choo-choo!" Anthony and I shared a smile, delighted with our happy boys, while Joey and Alex turned their attention to the windows and chattered away about the boats on the river. These moments, I realized, are what it is all about. Not the household chores, or the errands, or hustling them off to bed every night. The most important thing was getting to spend this quality time together as a family, before the years raced by just like the scenery on this train ride. Soon after we returned to the station, my sharp-eyed boys spotted The Candy Barrel, where you can find mountains of taffy and other treats in old-fashioned barrels. I wasn&apos;t surprised that the boys were excited, but Anthony was like a little kid, too. To be totally honest, I may have had a few treats myself. After all those delicious sweets, I decided we needed to balance it out with some fresh fruit. I had found a list of farmers markets on the Farm-to-Fork website, so before we headed home, we stopped at one, held weekly, downtown. We found our favorites-organic apples and peaches-plus loaded up on pistachios and three kinds of flavored almonds. It was like bringing a piece of Sacramento home with us. As we climbed into our car to head back home, we packed much more than fruit into our trunk. We had a carful of memories to fuel the coming days, as we returned to our routines, but now with more energy and a stronger sense of our family bond. 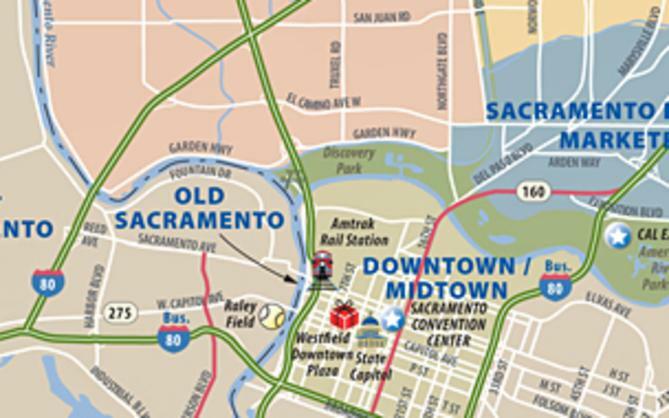 Discover more exciting things to do in Sacramento.